I can’t watch ’24 hours in A&E’. When ‘One Born Every Minute’ appears on my TV set, I’m watching from behind a cushion. I can’t even watch ‘Embarrassing Bodies’ without cringing in horror! When I see white coats, scalpels and ’10cc’s’ of something medical flash up on my screen I may as well be watching the ‘shower scene’ from the hit family friendly flick ‘Psycho’! Yes my friends, there you have it. I’m a ‘Grade A’ wimp! Whilst my wife will happily eat her dinner in front of an array of blood, guts and carnage – I’m left a nervous wreck! Though this does lead me nicely on to my most recent gin find. When I was asked by my new Dorset based friends to sample their gin, and whether I had ever tried ‘Apothecary’ I was nervous. Why did they need to know if I’d ever dabbled in the world of pharmacology? Why did I need to be medically trained? Was I going to have to admit to my weak stomach and shatter yet another illusion of ‘John McClane’? Then they repeated the question. Had I ever tried a ‘Pothecary’ gin? Now. This was a ‘check up’ I could get onboard with! Pothecary gin is the brainchild of Dorset based pals Lukasz Dwornik and Martin Jennings, who bonded over a shared passion for gin based elixirs. Now this isn’t a gin that you’re going to find down at your local supermarket (…yet!). This my friends is small batch production at its inspiring best. Indeed, up until recently Dwornik & Jennings were using a single 60litre copper pot still, in addition to a smaller separate pot for their delicate botanicals. They’ve recently upgraded to add two more handmade vessels to their distilling armoury (both a 60 & 40litre offering from Portugal no less!). Even with this level of growth the team admit that they can probably produce up to 900 x 50cl bottles a week, (in theory), assuming there were enough hands on deck to fill, run, empty and clean them every day! To put it into perspective, Sipsmith produced about 500,000 bottles last year! But for me, this only adds to the charm! Small batch? Yes. New to market? Ish. A shrinking violet? Absolutely not. Pothecary has already won double gold at the ‘San Francisco World Spirit Awards’ last year, and with lots of activity planned for 2017, and a growing reputation on the gin scene, I’m willing to bet that plenty more accolades are on the horizon for this year. The fact that you can now find Pothecary beautifully displayed on the shelves of ‘Harvey Nichols’ and ‘Fortnum & Mason’ further demonstrates that this gin is turning heads – and some luxury ones at that! So what’s it all about? Grab your stethoscope & let’s get to the heart of this gin! Firstly, is it wrong to describe a bottle of gin as ‘pretty’? Well, I’ve said it and we can all now move on…because it is pretty! And sticking to our pharmaceutical theme, with the aqua blue labelling, gold italic font & wooden stopper, it could look quite convincing on a pharmacists back shelf. Well – they do say gin is the best medicine after all! Flip the bottle over and you’ll get a bit more of a feel for Dwornik & Jennings strive for excellence. You’ll read all about how each of their organic botanicals (of which there are five; lavender from Provence, Bulgarian juniper, black mulberries from Anatolia, Sicilian lemon peel and Tilia Flowers from Poland) are foraged from the wild and then distilled separately by hand before combining in those ultra small batches to create an incomparable flavour profile. This effort and hand crafted attention to detail serves only as additional pull to sample the contents! On the nose, there is an initial piney, grassy fragrance to this gin. Whilst there are heavy tones of juniper, it’s the floral, almost perfumed, inclusion of lavender that dominates proceedings supported by a more delicate lemon zest. Don’t be tempted to dive right in just yet – give it a minute to open up a little in the glass and you’ll find much sweeter notes get pulled forwards. There was a scent I couldn’t decipher…until I re-read the beautifully inscribed botanical listing on the bottle. The inclusion of the black mulberries adds a surprising aroma of raspberry ripple ice cream and gentle vanilla tones. And once you’ve got it, you can’t ignore it; it brings a warning sense of interest and excitement to the table! Upon tasting neat, there is an initial citrus lemon blast on the pallet. There is a much stronger alcohol heat to the gin than I’d been expecting, almost like a spicy lemon sherbet sweet! There’s a medicinal dryness to the taste (fitting, given my introductory ramblings) and the juniper delivers an undertone of earthiness that helps to provoke its warming nature. When I added a splash of water, just to help calm down the initial alcohol heat, the whole thing becomes a lot more delicate. Lavender and vanilla definitely pack the strongest punch – this gin is both bright & lively, but it’s floral nature, mixed with those dark fruit botanicals, combine to deliver an exciting and juicy end product. When enjoyed as a gin & tonic, I served with Fevertree Light, you get a silky smooth finish with absolutely zero alcohol burn. It’s five key botanicals are perfectly blended to give a rounded taste; it’s floral and lavender tones being most evident. With that raspberry ripple ice cream scent lingering, you may be tempted to garnish with a ’99p flake’. Don’t – it’ll just be weird! Instead, I found that the inclusion of an orange and lemon peel garnish served to complement the zesty botanticals, delivering a candied citrus finish. This is unlike other gins I’ve tried and the tasting notes lend it to almost be a sipping gin – it’d keep my interest all day long! I’d recommend paring it with a vermouth to create an absolute belter of a Martini. It’s fresh, exciting and cool as hell! And so with this gins full body physical complete, I’m giving it the ‘all clear’. The thing that really struck me about Pothecary is the passion of the distillers to create something different and interesting – their small batch ethos and search for perfection really is evident with each sip. And though I doubt I’ll ever be able to bring myself to watch a medical drama without wincing, I’m willing to see if Pothecary is the remedy. If nothing else, it might make ‘Holby City’ a little more bearable! 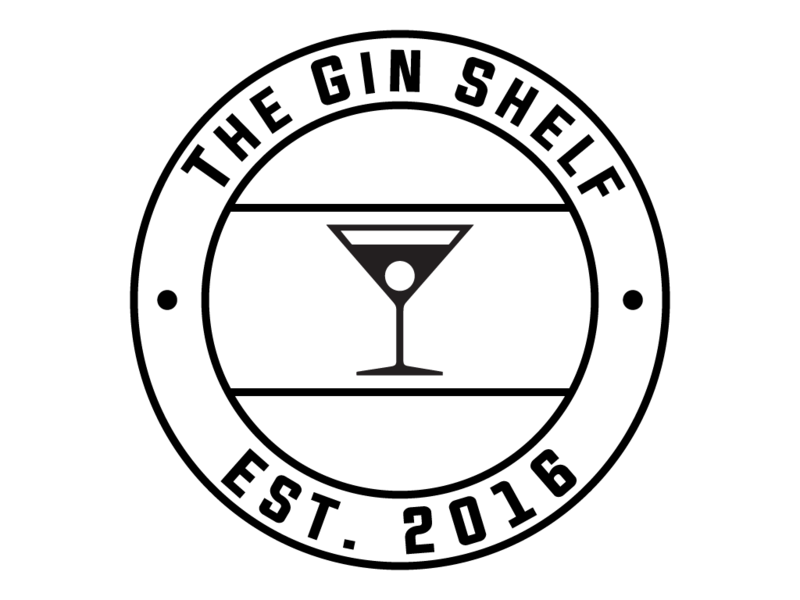 With many thanks to Lukasz Dwornik and Martin Jennings at Pothecary gin for the sample bottle and their support in making this blog possible. Yet again Matt a great article with humour, but most of all an intelligent and superb review. Keep it up you deserve to go far with this.